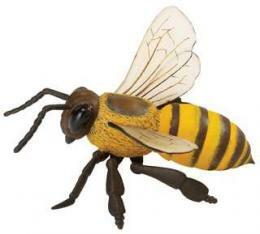 Bumble Bee Toy Plastic Mini Bee Good Luck Miniatures 1" long (sold individually) are realistic size plastic toy animals play fun at Animal World®. Made of safe, durable detailed plastic this miniature ladybug toy measures a mini 1"L x 1"W x 3/8"H. ** Choking Hazard - Not suitable for children under 3 years of age ** Shop our Bee Gifts Bumblebee at Animal World® page for all our Bee lover gift ideas. I make beeswax candles and put one on my large ones to sell. Also I have them on my display table. The kids sometimes want to just buy a bee. 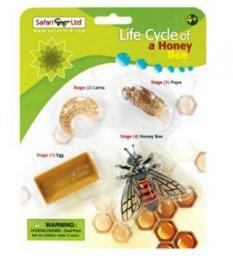 They look quite real and I was looking for a long time on line for a real looking bee and I am very pleased with these. They are rubber feeling.